I will protect the innocent! 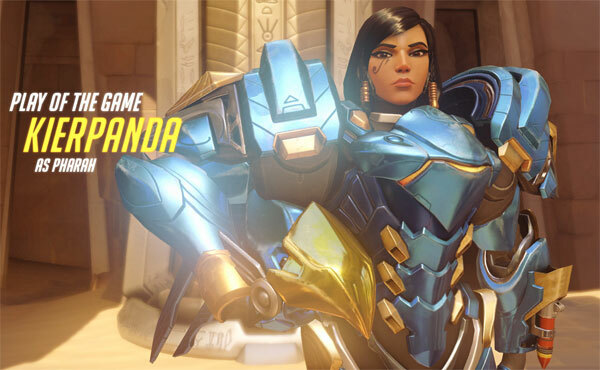 Pharah is one of my favorite heroes in Overwatch and I spent a lot of time flying around with her during beta. Jumping around, hovering, shooting rockets… She’s just a fun hero to play. So, I decided to dedicate a recipe to her! Since Pharah is Egyptian, I had to go with a dish common to that area. 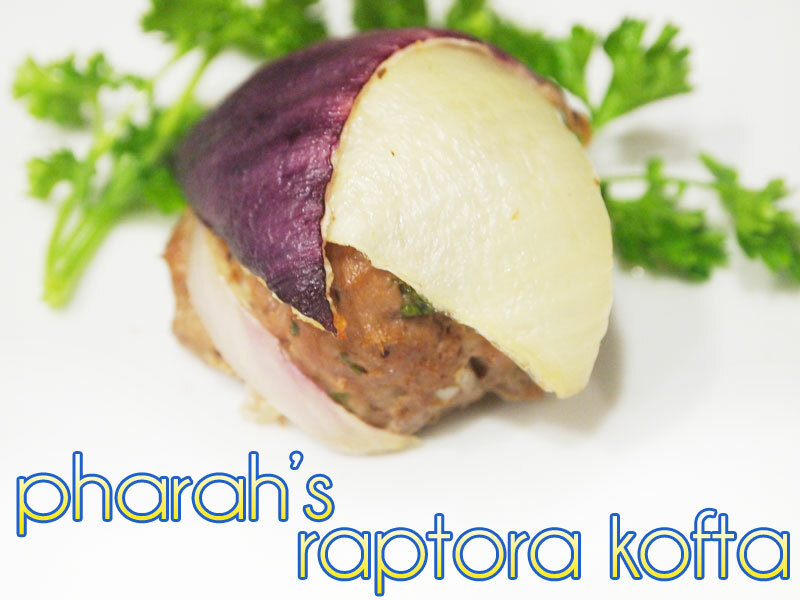 After some research, I found a dish called “kofta”. The challenge was then trying to make these kofta resemble Pharah in some way. And then it dawned on me — create a design that resembles Pharah’s helmet from her Raptora battle suit! 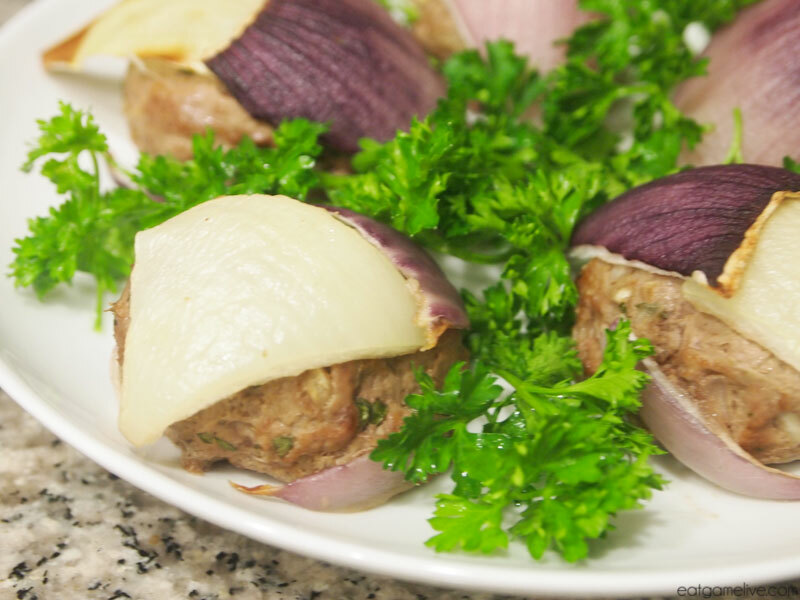 Typically, kofta are served on a skewer and in a long sausage-shaped form. I had to adapt this recipe slightly in order to create the helmets. I didn’t know how to get blue into her helmet design without using some sort of dye. Blue isn’t really a color that naturally occurs that often in savory foods. So, I tried the next best thing: red onions! Prep time for this is about 20 minutes. Cook time is about 20 minutes. This will make about 9 koftas. 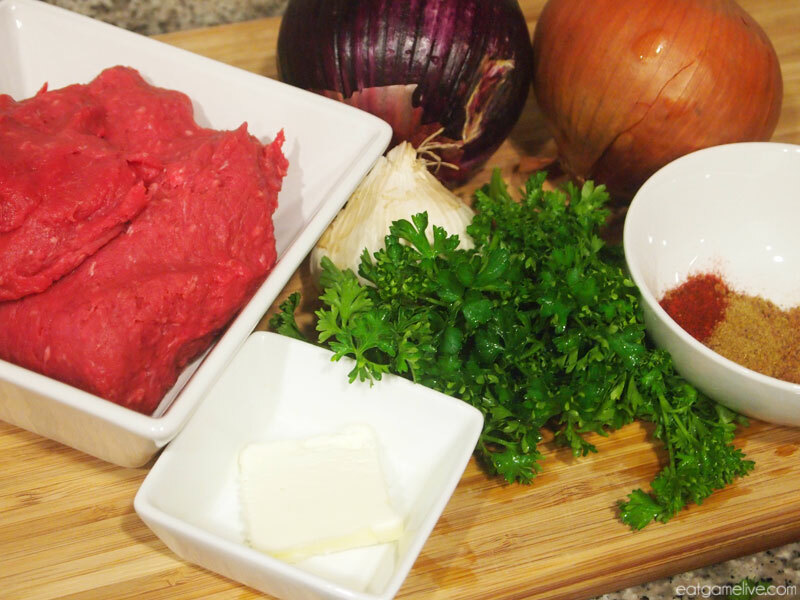 In a large bowl, combine your ground beef, melted butter, garlic, seasonings and parsley. Add in your diced onion and mix thoroughly. 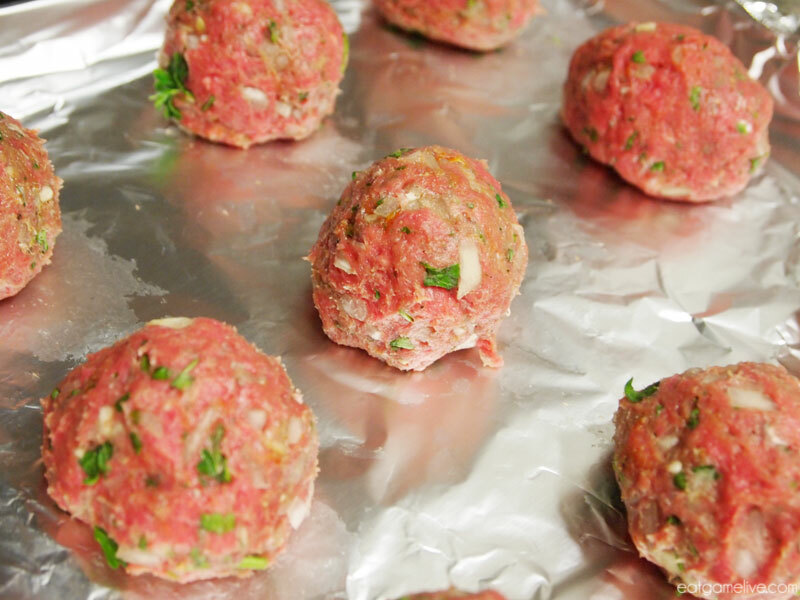 Begin forming the meat into golfball-sized balls and place them on a foil-lined baking sheet. Now here comes the fun part — designing the helmets! 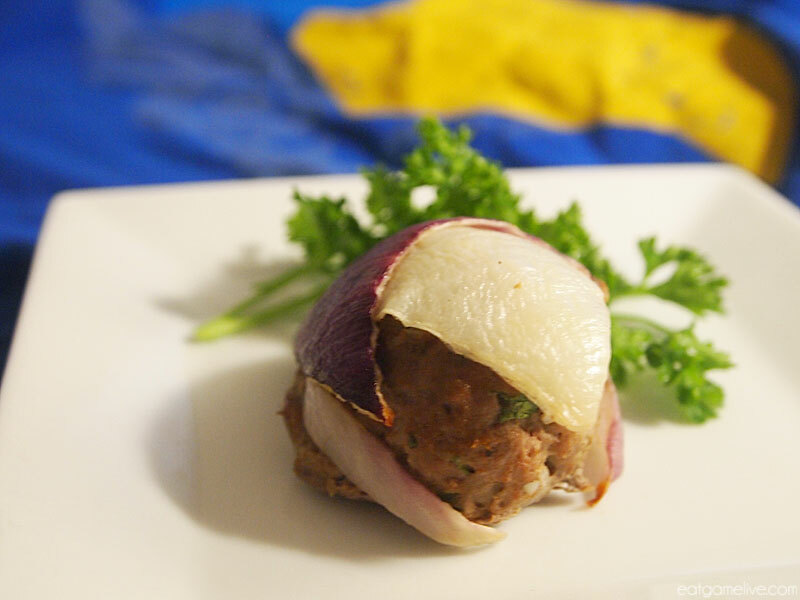 Take your remaining yellow onion and slowly peel apart the layers. They should be in the shape of half cylinders. 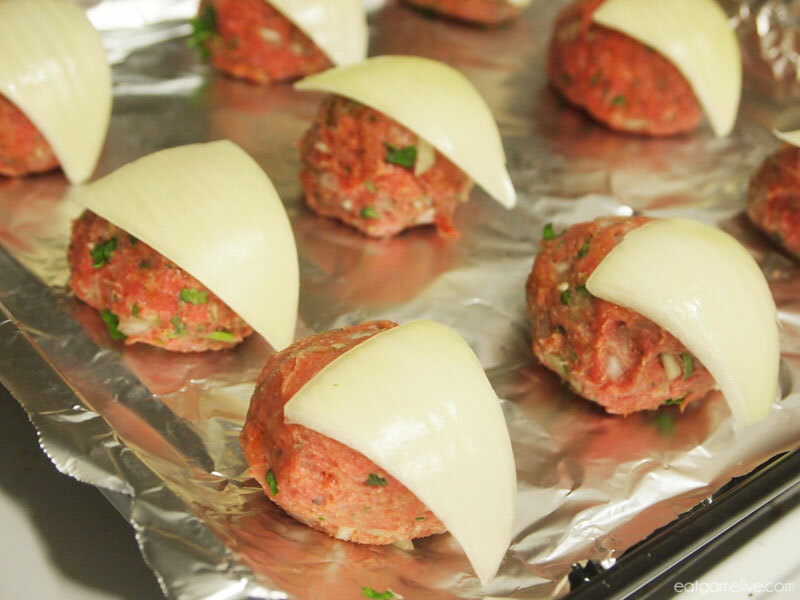 Cut out the visors from the yellow onion by creating triangles. They should look like bird’s beaks. 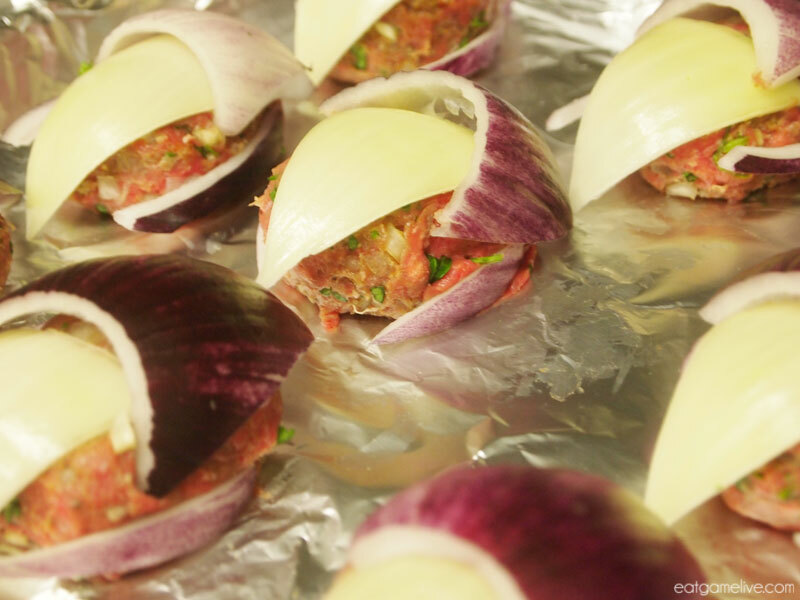 Repeat this process for the red onion. This will create the back of the helmet. You’ll want to save the scraps for later. 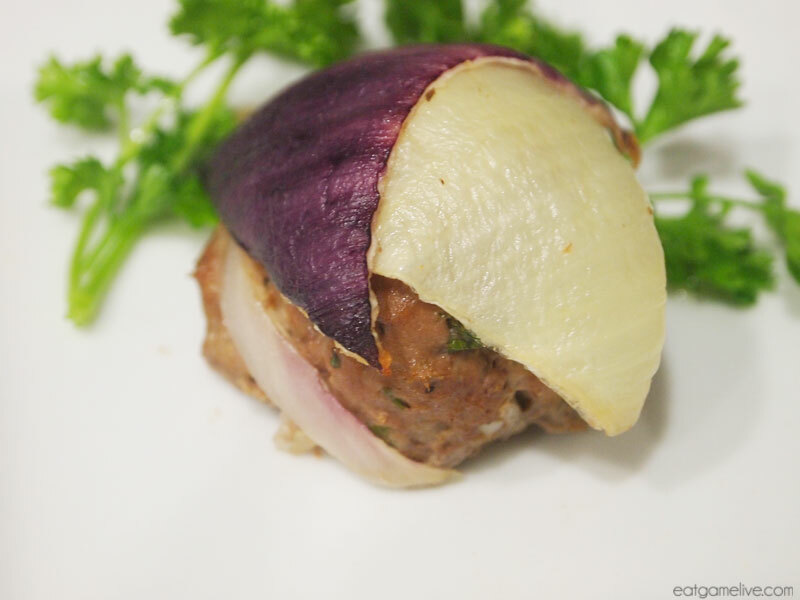 Place the red onion slice opposite facing the yellow onion. 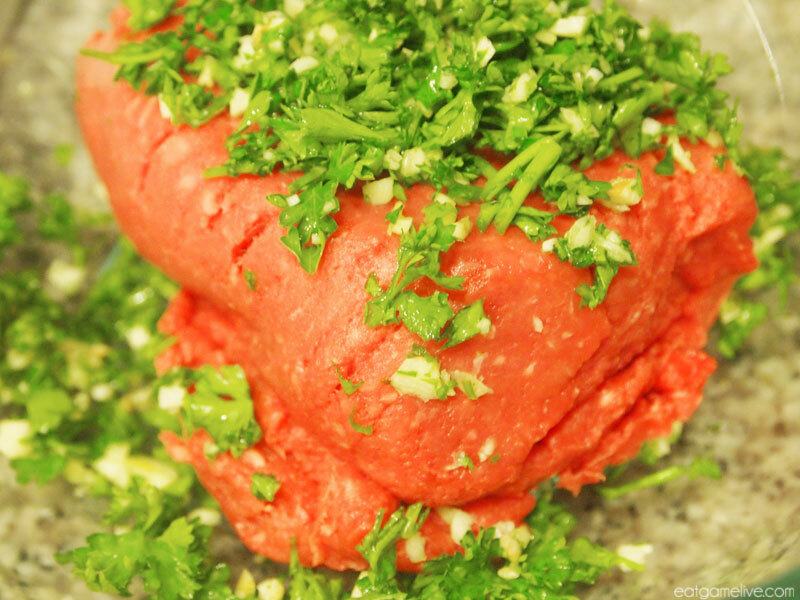 Pre-heat an oven to 350° F.
Bake the kofta for about 20 minutes. Don’t forget to save some for your team! Perhaps I’ll see you flying around in the Temple of Anubis when beta is back online?